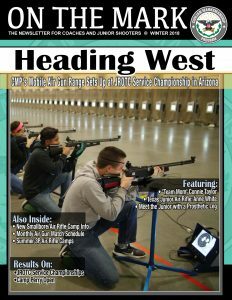 CAMP PERRY, Ohio – Patience and hard work paid off during the Civilian Marksmanship Program’s (CMP) 2018 National Three-Position Air Rifle Championship, as Nation Ford High School from South Carolina finally earned a win after falling short every year since the competition began back in 2016. 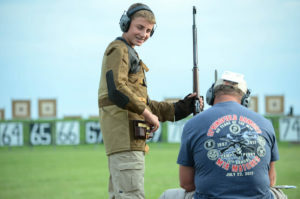 The National event, featuring both sporter and precision junior athletes from around the country, was held at the Gary Anderson CMP Competition Center at Camp Perry, June 21-26. After landing in second place for years at CMP Nationals, Nation Ford High School finally made it to the top of the podium. 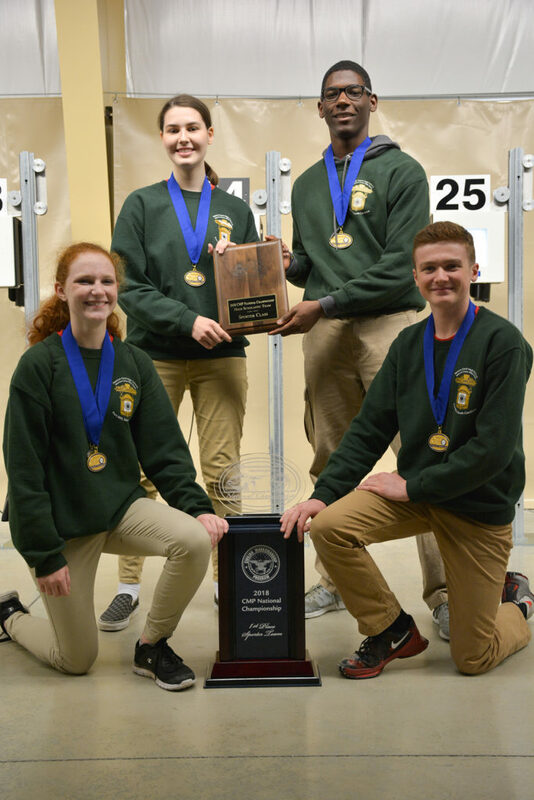 The team has always performed well at Nationals, earning second place in the CMP event in 2016 and 2017 but unable to reach the top of the podium. The team also found the runner-up position in the coinciding Junior Olympic National event in 2016, but went on to win the match in 2017. 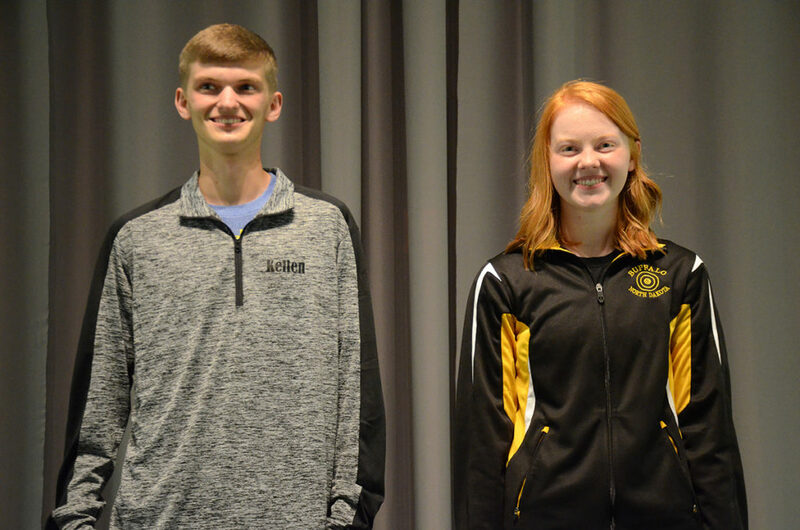 Members of this year’s winning team, which also won this year’s Junior Olympic event, were Kayla Kalenza, Deonte Hayes, Sarah Leininger and Nick Noto. The team is coached by Colonel Sean Mulcahey. 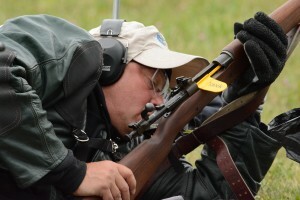 Colonel Mulcahey hasn’t changed his training philosophies or practice schedule for the past four years – sticking with what works by focusing on competition performance as if it were just another day on the range. Mulcahey also admits that outside of the team, there are many who have helped them reach their heights, including the school’s Booster Club and, of course, the many dedicated community members. Following Nation Ford in the sporter team match was Zion Benton from Illinois, last year’s winning team, in second and Volunteer High School from Tennessee in third. Simon Krauthamer was completely shocked when he heard he was the winner of the sporter competition. 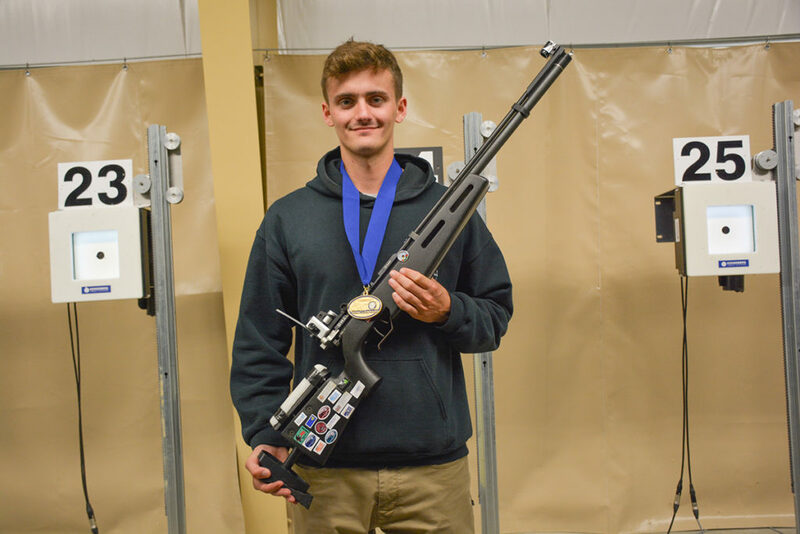 Also earning an exciting win in the sporter competition was Simon Krauthamer, 17, of CRPC Junior Program in North Carolina, who topped the individual competition with a score of 652.3 – only one-tenth above second place finisher Halie Creekmore, 14, of Zion Benton High School in Illinois. Linsey Kleckner, 17, of Freeport High School in Illinois, earned the third place spot with a score of 651.1. 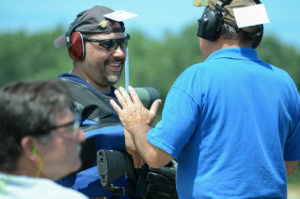 Krauthamer had an impressive showing at Nationals, with a third place finish in the Junior Olympic match that he said gave him the opportunity to prepare him for the CMP event. 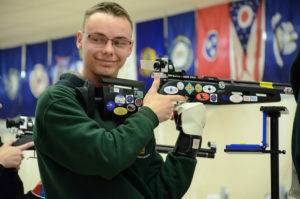 With college in his near future, he spent a lot of his air rifle season filling out applications, wrapping up his high school career and working a job outside of school – leaving little time to compete. But, he still arrived at Camp Perry with the hopes of taking home the championship title. “Going to Nationals, I had the goal to win, because if you go into a competition with any other goal than winning, you will doom yourself, mentally. 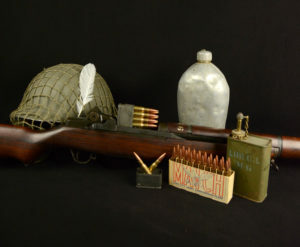 This is specifically important in sporter because it is mostly a mental game,” he said. The battle for the sporter win was tight during the Top 8 final that would ultimately determine the winner of the match. Krauthamer gave it his all but didn’t lead that entire time – at least, not until the last shot, when the leaders each fired a shot in the 7-ring, boosting him up to the top of the podium. The moment happened so quickly that Krauthamer didn’t even know he had won until his name was called during the announcement of the winners. Now crowned with a National title, he is both in awe and humbled by what took place during the unforgettable event. Ryan Habeck was the overall precision competitor. He is now set to begin at the Air Force Academy this month. 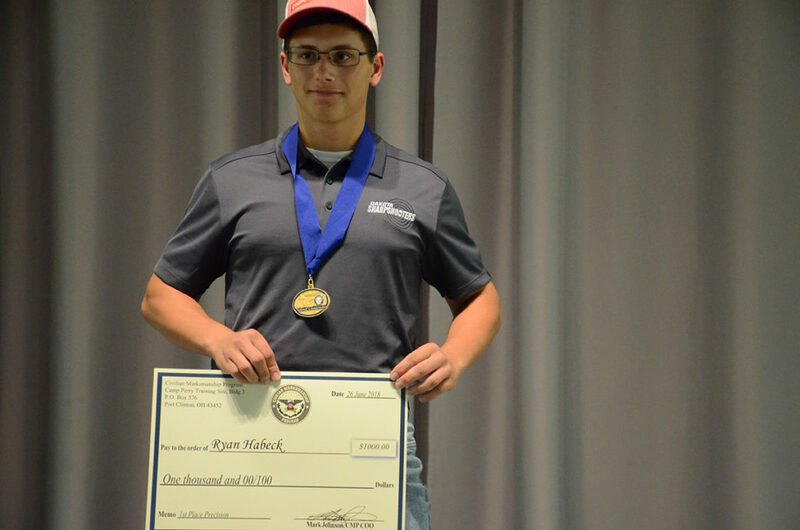 In the precision event, Ryan Habeck, 18, of Dakota Sharpshooters in South Dakota, overtook the class with a score of 695.7 – just two-tenths of a point over last year’s champion and this year’s Junior Olympic winner, Katie Zaun, 15, of Buffalo Sharpshooters in North Dakota, who landed in second. Rounding out the Top 3 was Antonio Gross, 18, of Webster Junior Marksmen in New York, who earned his USA Shooting jacket back in 2016 during the National event as the top male competitor. Winning precision teams were the Arlington Optimist Acorns CJRC Ice from Virginia, with a score of 2350-161x, Patriot Shooting Club, also of Virginia, trailed by only one point with 2349-155x for second, as the Ole Mill Rangers from GA took third with a score of 2346-157x. Moira Antal was the first Paralympic athlete to compete at the CMP National event. 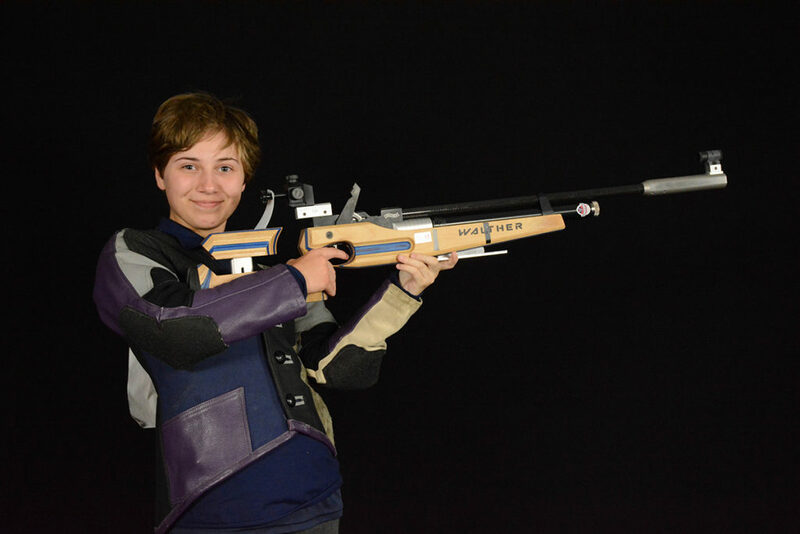 Another notable presence during the week was Moira Antal, 14, of Bealeton, VA, who made her debut at the CMP National event as the first Paralympic competitor. 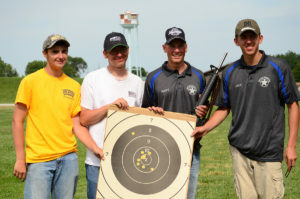 In addition to the thousands of dollars in monetary endowment awards provided to winning teams from MidwayUSA, the CMP provides $1,000 scholarships to the Top 3 highest scoring graduated seniors of the event. This year’s scholarship recipients were Kellen McAferty, Antonio Gross and Ryan Habeck for precision andKaitlin Irvin, Simon Krauthamer and Emma Thompson for sporter. CMP also awarded the top eight individuals and top three teams cash awards. 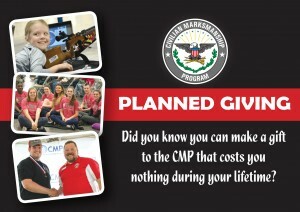 The CMP awarded $1,000 scholarships to the Top 3 graduated seniors. 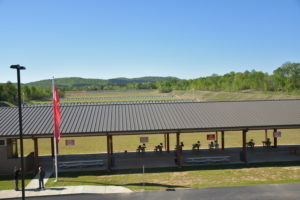 The National Air Rifle Championship is a three-position event, where sporter and precision competitors fire two days of competition – the Junior Olympic Nationals, followed by the CMP Nationals. Competitors fire qualifying scores each day, with the Top 8 competing in a final on the line to determine winners. 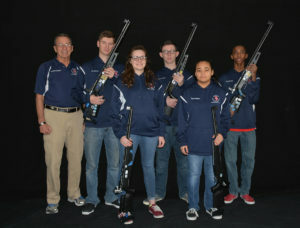 The top male and female competitor over the two days also receive places on the USA Shooting junior team. 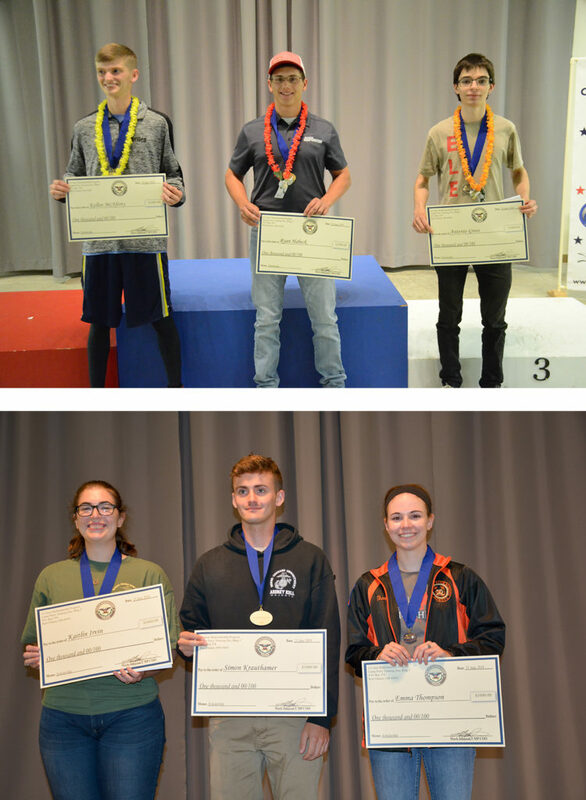 Earning spots this year were Katie Zaun and Kellen McAferty, 18, of Capitol City Junior Rifle Club in Washington. Katie Zaun and Kellen McAferty were the highest scoring female and male competitors of the events. 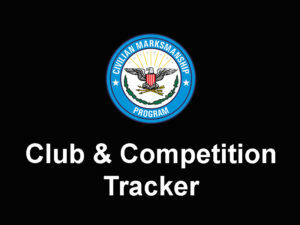 For a complete list of results of the CMP National Three-Position Championship and the National Junior Olympic Championship, visithttps://ct.thecmp.org/app/v1/index.php?do=match&task=edit&tab=results&match=17067&tab=results. Photos of the event can be viewed and downloaded for free from the CMP Zenfolio page at http://cmp1.zenfolio.com/f279118263.